In Canada, the GTX 1070 is selling for between $600 & $800 on avg. The GTX 1660 Ti can be had for $375 & $420. The US pricing I believe is about $280. That's a pretty large price difference. And considering the comparison reviews so far... 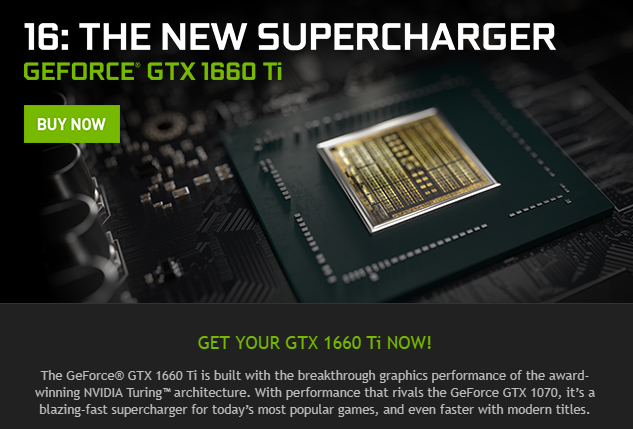 The 1660 Ti actually manages to beat the 1070 quite often and even squeaks out the odd victory on the 1080! The Tech Spot review (linked below) also includes WoT in their comparisons. Though, the 1660 Ti didn't beat either of those cards here. "When it comes to power consumption the GTX 1660 Ti pushed total consumption to just 271 watts making it very efficient. In essence you’re getting GTX 1070-like performance for an 8% power saving for the total system."